Authorities in Florida briefly shut down an international airport after a man believed to be a student tried to board a plane in the middle of the night. 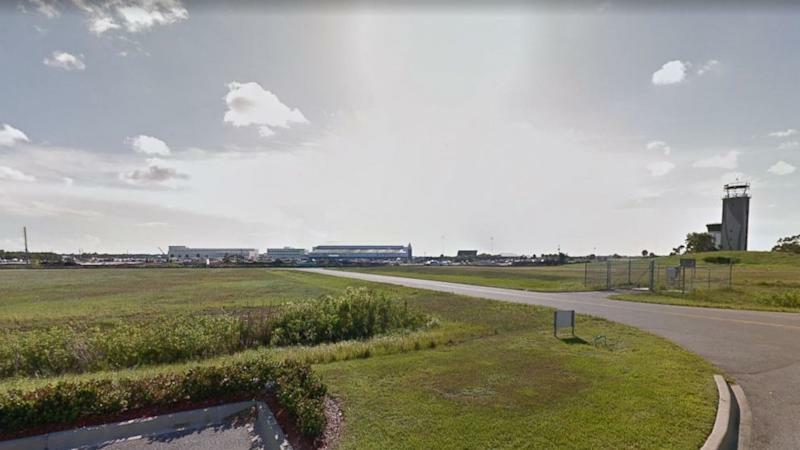 The suspect jumped an airport fence and boarded an empty American Airlines plane at 2 a.m. Thursday, a spokeswoman for the Orlando Melbourne International Airport said. The man, who was identified by an airport spokesperson as Nishal Kiran Sankat, was spotted by one of the plane's attendants who called the police. An aviation source briefed on the incident told ABC News that workers were on board when the suspect approached the aircraft and boarded by coming up the air stairs. The workers called 911 and the suspect exited the aircraft, the source said. The Airbus 321, which seats about 190 passengers, was empty at the time of the incident and police responded to the scene within two minutes of the call, airport spokeswoman Lori Booker said. The suspect was arrested on site. The 26-year-old man was born in Trinidad and Tobago and has a Florida driver's license, Booker said. The Florida Institute of Technology released a statement confirming that the suspect is a part-time student at their school and was studying aviation management. The student had completed some flight training in the past, the school's statement reported. The suspect arrived at the airport by car, leaving his vehicle running curbside before jumping the airport fence and boarding the plane, Booker said. He appeared to have a well-laid plan and knowledge of the airport layout, Booker said. The plane was not scheduled to fly Thursday and Melbourne airport police are working with the Joint Terrorism Task Force to identify a motive, Booker said. It was at the airport for internet upgrades and was slated to fly from Melbourne to Miami without passengers Thursday, an aviation source briefed on the incident said. The Melbourne airport was closed at around 5:45 a.m. "due to police activity," as the airport police stated in a tweet. It reopened a little over an hour later. ABC News' Alexandra Faul and Jeffrey Cook contributed to this report.